We have had a lot of changes in the last few weeks. To be fair, it started about 8 months ago when I fell in love with a little old schoolhouse in the woods. That crush led to our purchasing that schoolhouse. And then I quit my job (19 years of ministry) effective June 30. At the end of June we made the final push to move in to our new home, with all the attendant drama and trauma of moving. And now we are happily ensconced in our little (900 sq. ft.) home. 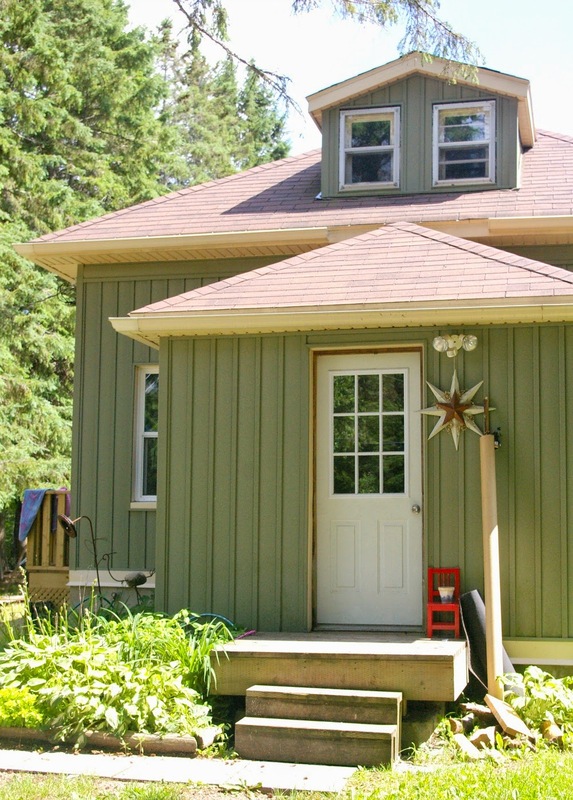 In the first 24 hours of really living here (we moved a town over, and had both houses until the end of June) Andy returned to work (long haul trucking) and our toilet tank cracked completely, the hydro went out for 12 hours and I realized that our house was seething with mice, ants and earwigs. Fun! So now, I have a system of flushing and catching water for the toilet until Andy gets back home. I have caught 8 mice. I have given up my squeamishness with earwigs and stomp them with abandon. I have also gone from caring for a flock of people to caring for our expanded creature collection. We added two baby kitties to become mousers (see above paragraph) -- and they have been dubbed Ghost and Longclaw, with a big nod to Game of Thrones. Soon after that, we drove 5 hours each way to pick up a mama goat and her one week old twin boys-- in the back of our little Kia! Thank goodness Dandelion is a Pygmy goat (pictured with some horn bling made by Rowan), so she fit well, and she settled happily for the ride. 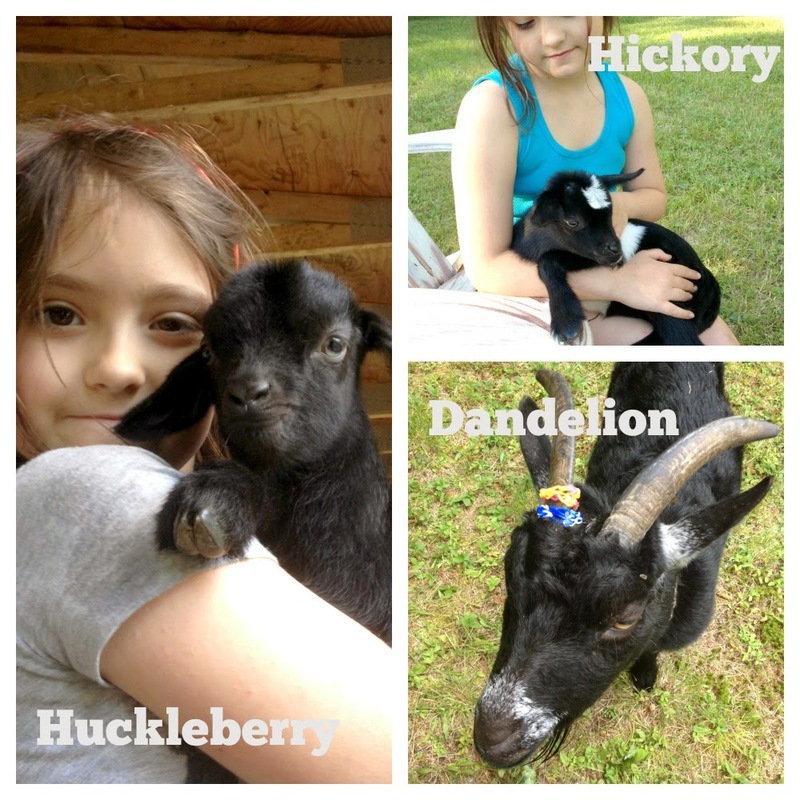 The babes, Hickory and Huckleberry, are darling funny little things that we plan to band and train to cart (they are Pygmy x fainting goat and expected to be larger than the average Pygmy). I am hoping that if we add one more little doe to the herd this summer, maybe my husband won't notice? It is with some sadness that we have decided to re-home our little Papillon, Murray. You sound like you're having quite an adventure! I love reading about it, sounds so fun. Hope those little kitties can grow up to be good mousers for you.